It took until 10:30 a.m. Sunday, but the College Football Playoff committee made its decision. The first three teams, Alabama, Clemson and Notre Dame, were locks to compete in the playoff. But Rob Mullens, the CFP committee chair, said the debate following the top three spots was deep, detailed, and occasionally contentious. Oklahoma earned the fourth spot and will go to its third CFP game in four seasons, as it will face No. 1 Alabama in the Orange Bowl at 7 p.m. Dec. 29. The Sooners (12-1 overall, 9-1 Big 12) earned the fourth spot because of their dynamic offense. Mullens said there were some committee members who believed Georgia should be the fourth team in while others believed the Buckeyes deserved the spot. Because the Sooners avenged their lone loss and won a conference championship, it gave them an edge over the other two contenders. Oklahoma athletic director Joe Castiglione is one of the 13 CFP members on the selection committee, but he had somewhat of a limited role when it came to choosing the fourth team. Anytime the Sooners were in discussion, Castiglione had to recuse himself from the room. Frank Beamer, whose son Shane coaches for OU, had to do the same. Ohio State AD was in the same situation during the conversations circled the Buckeyes. Mullens said Oklahoma’s defense also factored into the decision. Notre Dame and Clemson will face off at 3 p.m. Dec. 29 in the Cotton Bowl in the other semifinal game. The CFP national championship game is Jan. 7 from Levi’s Stadium in Santa Clara, California. 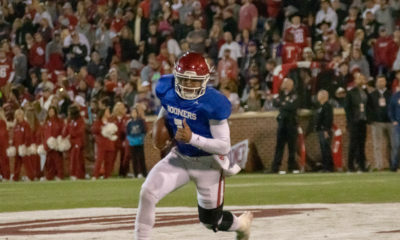 Mullens continued to use the word unequivocally when discussing how the Sooners got in over Georgia and Ohio State. Although the teams were close in most statistical categories the committee uses, he said the Sooners followed the guidelines more closely than the other two teams. 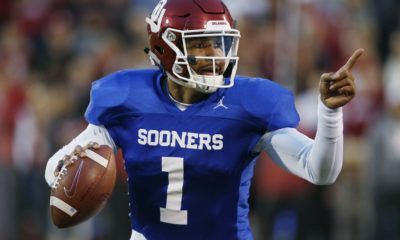 Alabama coach Nick Saban had high praise for Sooners’ quarterback Kyler Murray on an initial conference call. He called the redshirt junior from Allen, Texas, as dynamic of a player as he had seen all season long. 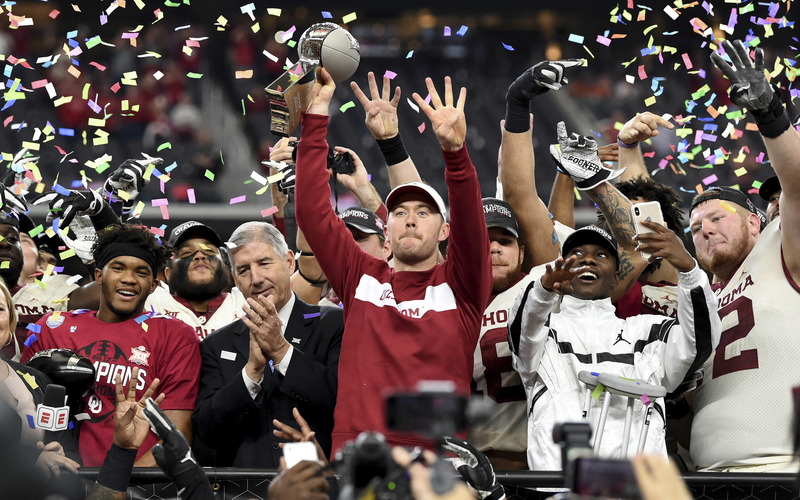 For Sooners coach Lincoln Riley, he’s thankful his team is in the playoff. He said he didn’t have an update on injured receiver Marquise Brown, citing they need to do more tests to be able to see whether he can play in the Orange Bowl. A question was asked to him about being an early 14-point underdog to the defending national champion and 2018 SEC champ. Riley said he wants to control what he can control.